There have been more than 40 million units sold worthwhile, and the 2017 Toyota Corolla reviews indicate that the model’s appeal is set to endure. Santa Ana and Culver City drivers certainly seem to have been impressed by its keen fusion of styling, efficiency, and high-end technology, and the industry’s most rigorous critics have agreed that the new Corolla is something special. The 2017 Toyota Corolla makes the Toyota Safety Sense-P safety package available across each and every trim level. That means that even the entry-level model can be equipped with technologies such as forward-collision warning, automatic emergency braking, radar cruise control, automatic high beams, and lane-departure warning with lane keep assist. The emergency braking system has even added a pedestrian detection feature. 2017 Toyota Corolla reviews tend to highlight its roomy rear seats, which enable the vehicle to compete with larger sedans in terms of interior comfort; even tall adults will find themselves with plenty of room to stretch out and relax. You’ll also find a 13-cubic-foot trunk for holding all of your cargo with space to spare. Reviews of the 2017 Toyota Corolla reflect the model’s intense popularity. If you’d like to experience it for yourself near Santa Ana and Culver City, don’t hesitate to visit Marina del Rey Toyota today. 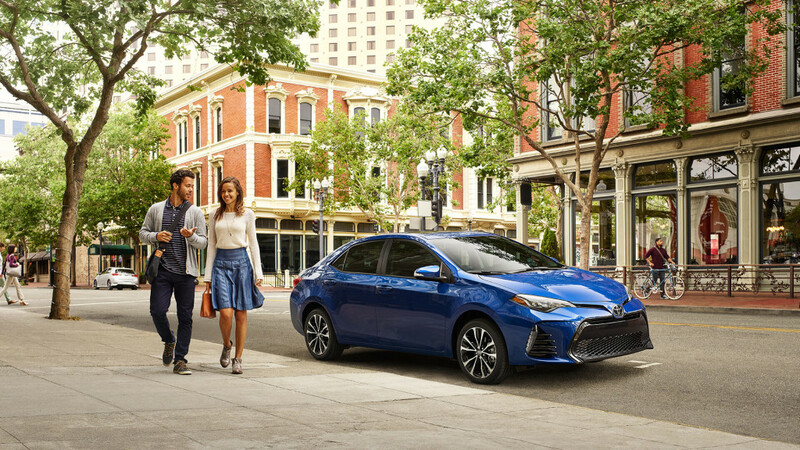 * 2017 EPA-estimated 30 city/40 highway/34 combined mpg for Corolla LE Eco. Actual mileage will vary.